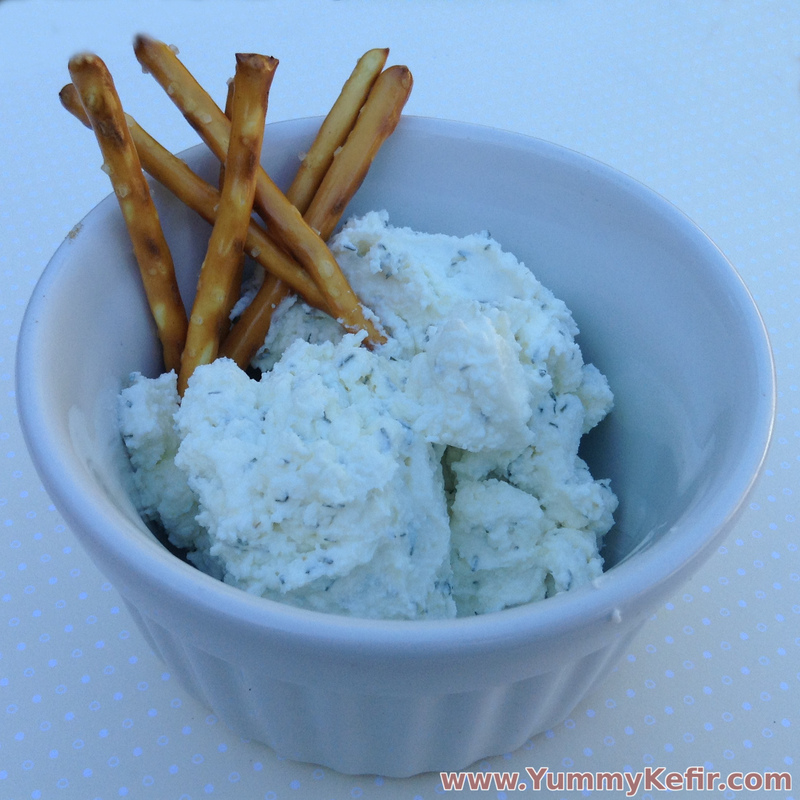 Add a little onion and some dill to your next batch of creamy kefir cheese to create this delightful spreadable cheese. Add some crackers, pretzels, veggies or chips and you have yourself a nice kefir infused snack that is as good for you as it tastes. To make this cheese less sour, make sure to drain the whey off in the refrigerator to slow the fermentation down. Mix cheese and spices in a bowl until well combined. I made my very first batch of Kefir cheese last night and it is dry and very fine crumbly. What did i do wrong and is there a way to create cream cheese out of it now? It sounds like it got a bit too dry. If you still have the drained whey, I would add some back in a tablespoon at a time until you get it to a consistency you prefer. If you no longer have the whey, I would use milk or kefir instead.